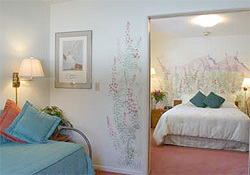 Voted best B&B in Alaska in 2004 and Best near a University 2006. 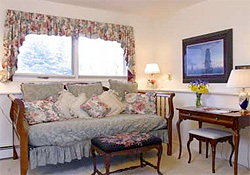 The Camai Bed and Breakfast is the oldest operating B&B in Anchorage. 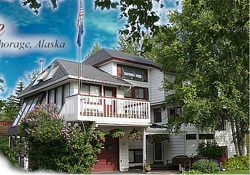 The Camai Bed and Breakfast is located in a quiet residential neighborhood close to downtown Anchorage, the airport, university of Alaska Anchorage and Alaska Pacific University, Providence Hotel and Alaska Native Medical Center. Two beautiful suites await you with private baths, queen beds, daybeds, tv/dvd, refrigerator, coffee make, microwaves and your own private phone for free local calls. 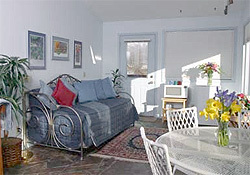 Each suite has a business office area with a high tech internet computer for checking your e-mail. Special dietary needs may be requested in advance. Just contact Caroline.